Hey Vegan MoFo-ers! Welcome to the first ever round up from the Brighton branch of MoFo HQ. I hope you’re as excited to be reading this as I am to be writing it! If you know me online or in that thing they call “real life” it will come as no surprise to you that I’ve been fixated on desserts recently & today is no exception. I’m in love with everything sweet! Cookies are always a favourite and I wish that I had one of Amey’s DiSaronno Cookies in my hand right now. 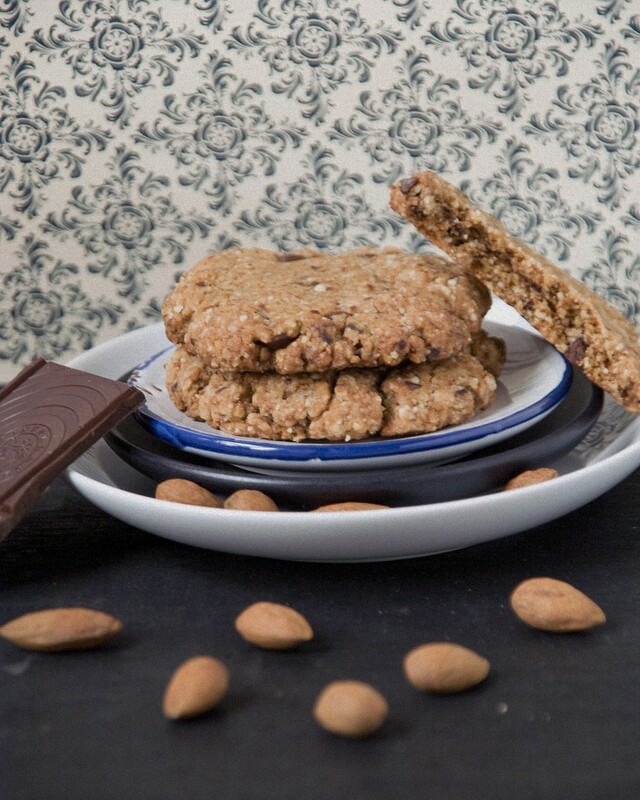 These beauties were made by Mihl over at seitan is my motor, I love the story behind them too but you’ll have to head over to Mihl’s blog to read it! 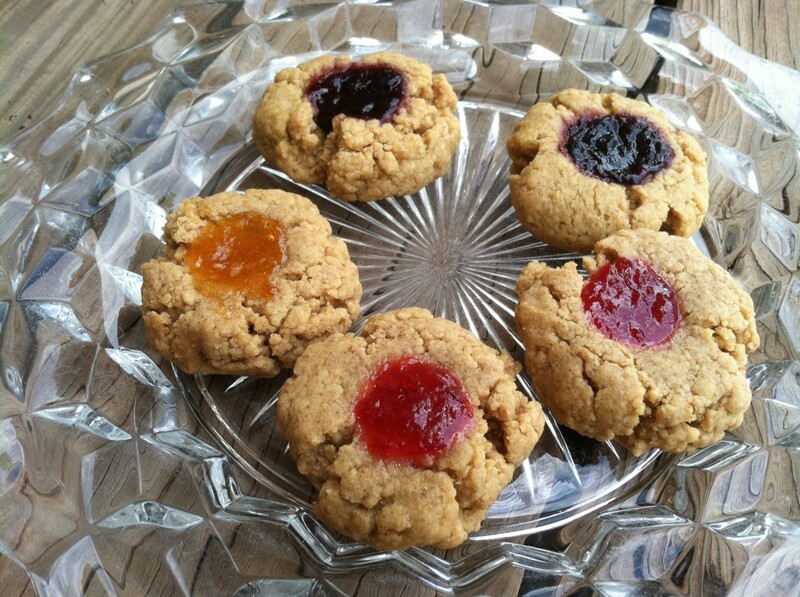 The second cookie I would pop into my mouth Cookie Monster style are these PB&J Thumbprints from Joanna Vaught. As a massive lover of all things Christmas (Yeah, I said it!) I’m loving Joanna’s 30 Days of Christmas Cookies & Treats theme this year. As a self confessed sugar addict I’d never say no to a muffin, especially not one as peachy as this Peach Punch delight (d’ya see what I did there?!) from fellow Vegan MoFo volunteer Erin at Meet the Wiko’s. 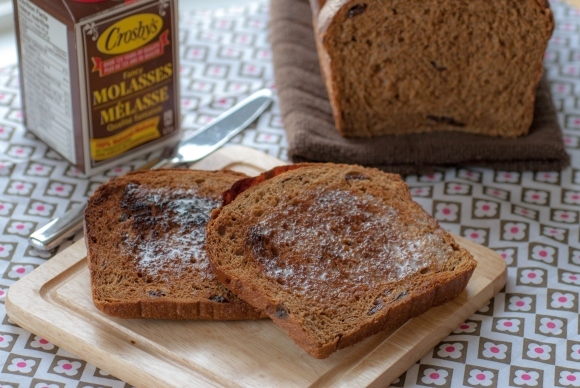 Another beauty that I would happily gobble up at breakfast time is this Molasses Raisin Bread from The Vegan Cookbook Aficionado. Yum! You Canadian’s have really got it going on in the bread department! If you’re looking for a more serious dessert then check out this Pumpkin Pie from Mipa at Alien’s Day Out. As a Brit I’m still not sure how I feel about pumpkin in dessert but this looks truly spectacular. If you’d like to pair your chocoholic tendencies with your sweet tooth then this is the dessert for you. This tofu based Chocolate Peanut Butter Mousse from an unrefined vegan is definitely something I’ll be bookmarking to make in the not too distant future! 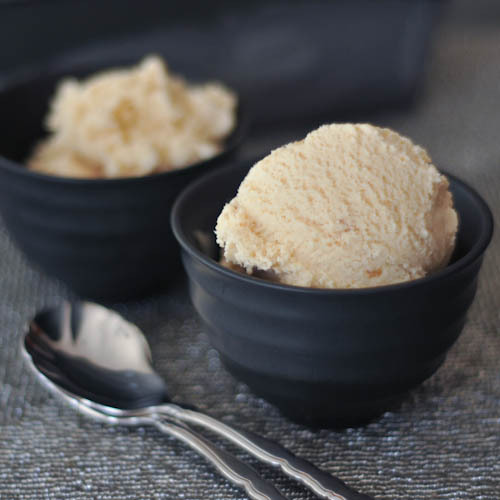 If you’re looking to get really crazy with your dessert then I think this Ginger Maple Miso Ice Cream from Spabettie would be right up your street. I’m a huge lover of the combo of sweet & salty and this intriguing flavour would be my first choice at the ice cream parlour. Last but by no means least we have a treat for your furry companions. 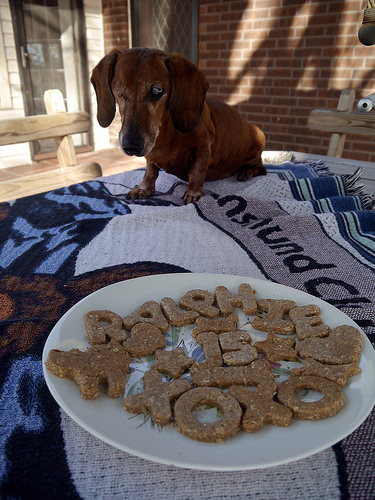 These Peanut Butter Dog Treats from Kelly Peloza’s book The Vegan Cookie Connoisseur were made by Easy Vegan for her adorable friend Ralphie’s birthday, Happy Birthday Ralphie! Holy crap! All these treats look awesome — and bonus cute dog! Oh dear, Ralphie and his cookies are just too much! Fabulous. Love this round-up! 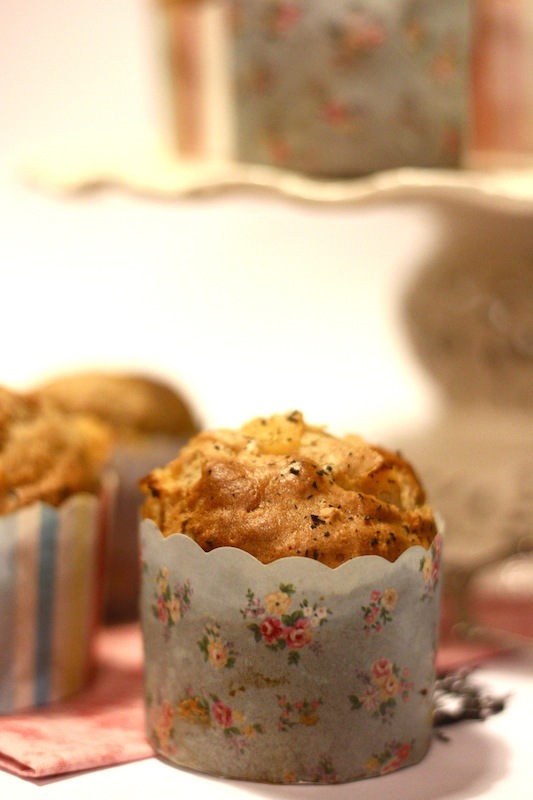 I really like all the sweet treats (and such gorgeous pictures!) and love the photo of Ralphie. So cute! I hope he had a great birthday. thaaaannk yoooouuuu!! 🙂 wow, some incredible treats here, and YAY for a dachshund!! Wow!! 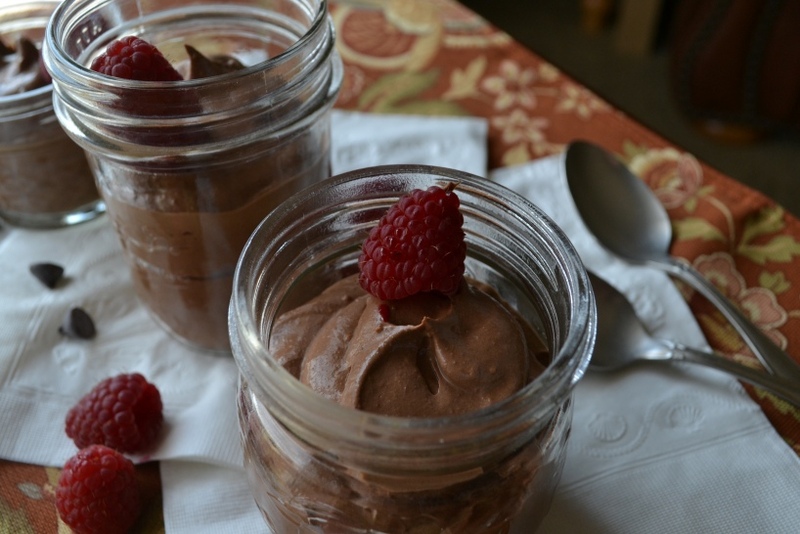 Fun to see my mousse recipe in the Round-Up – thank you so much! 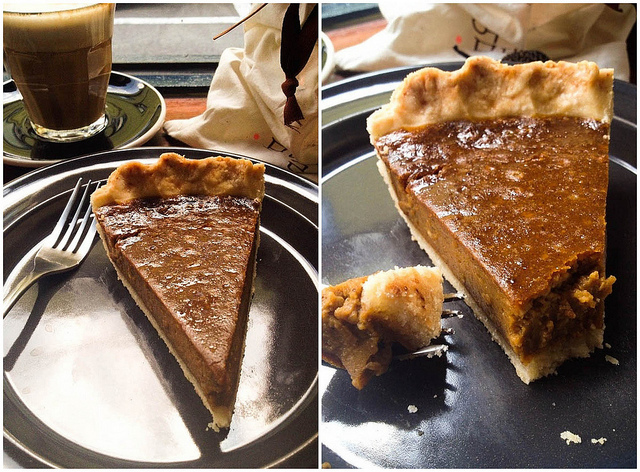 It’s got great company up there – slice o’ pie, please! I’m not a fan of pumpkin desserts but that does look good, as does the mousse and Ralphie is adorable! Oh Ralphie!! He’s such a cutie!!!!!!! He deserves all those birthday cookies! And that chocolate mousse looks fantastic as hell.